It’s the end of the story of a lovely lady – and the eldest of her “three very lovely girls,” Marcia Brady, paid tribute to her TV mom on Twitter. The iconic actress, Florence Henderson, passed away at 82 years old in Los Angeles on Thursday after being admitted the previous day for heart failure. Henderson was famous for her role as Carol Brady on the hit TV-sitcom The Brady Bunch, where she played mom to six children. 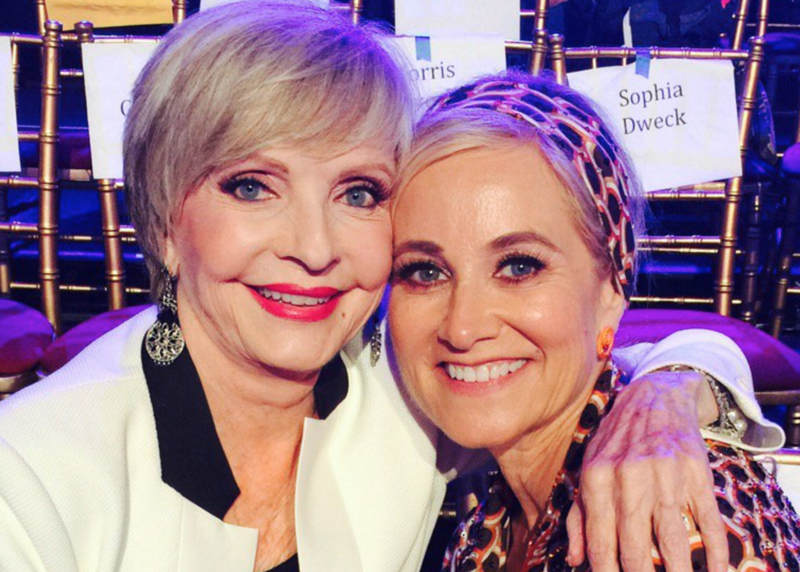 Maureen McCormick, who played Carol’s eldest daughter Marcia Brady on the TV show, took to Twitter to express her sadness over Henderson’s death. “Florence Henderson was a dear friend for so very many years & in my <3 forever. Love & hugs to her family. I’ll miss u dearly,” she wrote. Henderson competed on Dancing With The Stars in 2010. When McCormick took a turn of her own on the show, Henderson made a surprise appearance (in full Carol Brady attire) to support her TV daughter. Our thoughts are with Henderson’s (TV and real-life) families at this difficult time.